A picturesque terrace can make even the tiniest apartment seem more impressive, but this 750-square-foot one-bedroom penthouse in Carnegie Hill for $795,000 feels pretty grand even without the outdoor space, thanks to some impressive prewar accents, like 12-foot ceilings, in-laid wood floors and a sunken living room. The apartment opens into a closet-lined vestibule and beyond that, a foyer with built-in bookshelves. Off the foyer is a long, narrow-ish bedroom with two large windows that face east. The kitchen was renovated with stainless steel appliances, a glass-tiled backsplash and plenty of cabinets and counter space. The living/dining room has French doors. Every window of the home—including the bathroom's—overlooks the terrace, which wraps around half the apartment. It's not a wide space, but there looks to be room enough for a few chairs and a small cafe table. 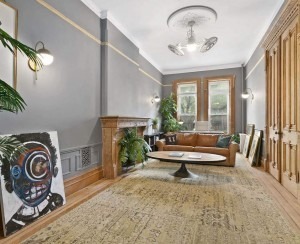 The view is mainly north facing with a glimpse of the East River from the living room side. Built in 1937, 152 East 94th Street is a red brick Art Deco co-op with a full-time doorman, elevator, laundry in the building and storage available. 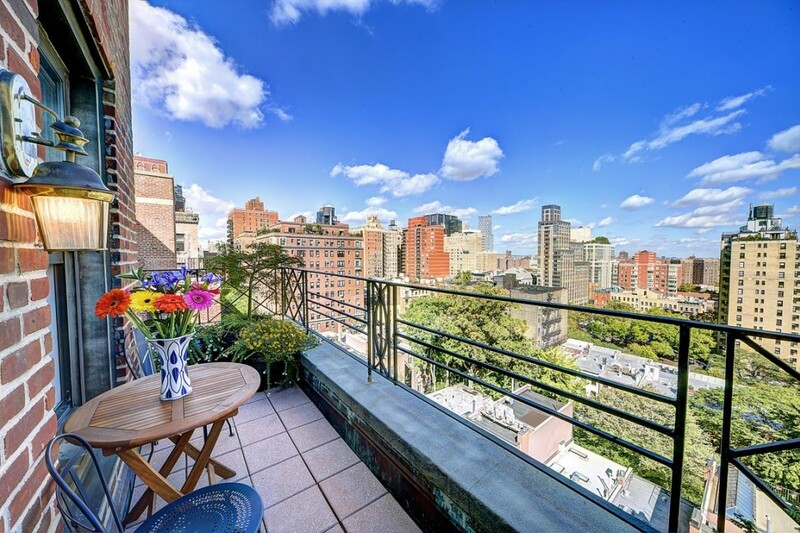 Living up high with private outdoor space just a few blocks from Museum Mile doesn't come cheap. Penthouse B is almost $150,000 more than other one-bedrooms in the neighborhood, which sold for $658,022 on average in the last 90 days, according to StreetEasy. When is a penthouse not a penthouse?